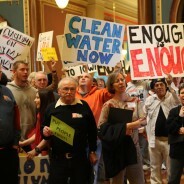 We want legislators to pass bills that put people first before polluters, politics and profits. That's why our staff and supporters monitor bills at the Iowa Statehouse – both good and bad – to let you know when your call or email can have the biggest impact possible. Here is the list of good and bad bills we'll be tracking this session. I. I believe. I believe that. I believe that we. I believe that we will. I believe that we will win. I believe that we will win! I believe that we will win! 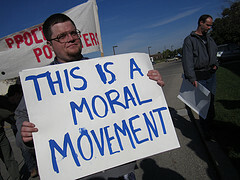 It was hard to choose - but we narrowed it down to the top 15 photos we think best represent our big "State of the 99%" rally and lobby day at the Statehouse Jan. 10. 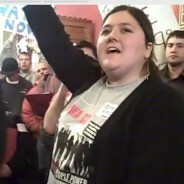 Take a look and see the power of hundreds standing up and standing together for the Iowa you want to see. 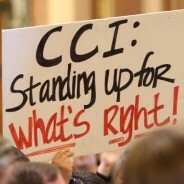 Nearly 500 everyday people - CCI Action members, members of Iowa's largest unions, and occupiers - gathered in the State Capitol today to demand state government put the common good before corporate greed. So many highlights, but here we try to list our favorites. After being locked out of the galleries for Governor Branstad's "State of the State" address, hundreds lined both sides of the hallway all the way from Branstad’s ceremonial office on the 1st floor, up two flights of stairs to the House chamber forcing the governor to walk through a guantlet of Iowans chanting “Put People First” both before and after his speech. Today, hundreds of CCI Action members and union allies are descending upon the Statehouse to make their voices heard at our Rally and Lobby Day. Can't be there in person? 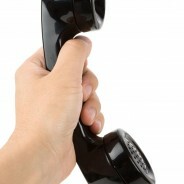 You can help send a strong message to legislators by being a part of our Legislative Call-in Day. Today is the official start of the legislative session. The day when legislators and the big-moneyed lobbyists are moving into the Statehouse. But this year is different -- we're moving in, too! Read more to see photos from our move-in day. Our legislative agenda is reflective of the key issues and concerns that are facing our members and every day Iowans throughout the state. This is an agenda that puts people before profits, people before politics and people before polluters and that puts our communities before corporations. We are pushing for these common sense policies on factory farms and environment, wage theft, payday lending and corporate tax loophole issues. 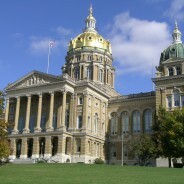 The Iowa Caucus season is over, and now that the corporate GOP candidates have left for New Hampshire, it's time to pivot our focus to state politics and the 2012 legislative session. 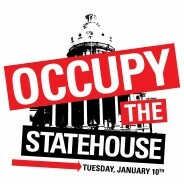 Nearly 250 CCI members just like you from across the state have already RSVPed to attend our "Occupy the Statehouse/State of the 99 percent" rally and lobby day next Tuesday, January 10. 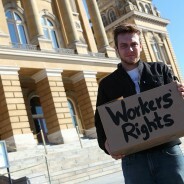 And, we know we'll be joined by some of our allies in the organized labor movement. Everyday Iowans have an opportunity to address these pressing problems and advance a populist agenda for economic justice and democracy at the Iowa Caucuses January 3rd. Since the national spotlight is on us, we are uniquely positioned to drive home – in a big way – a vision of good government that puts communities before corporations and people before profits.